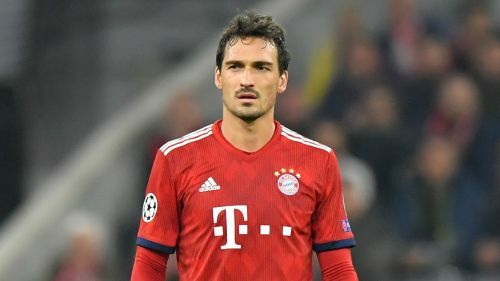 Bayern Munich defender Mats Hummels will remain with the Bundesliga giants for the rest of the season, according to chief executive Karl-Heinz Rummenigge. Hummels, 30, has been linked with a move to the Premier League as the centre-back struggles for game time at Bayern this season. But Rummenigge said the Germany international was going nowhere in January after talks with the club's hierarchy. "We had a conversation with Mats a few days ago and he will play for Bayern Munich in the second half of the season," he said after the club's 1-0 win over RB Leipzig on Wednesday. Bayern sporting director Hasan Salihamidzic said Hummels had asked for talks with the club. "We talked to Mats, it was a good conversation, Mats feels very well in Munich, and if a player does not always play, it's clear that there are discussions," he said. "Mats wanted to talk to us. We explained our point of view to him and he explained his point of view. I think that we came to a common denominator." Bayern are third in the Bundesliga, six points behind leaders Borussia Dortmund.